Posts tagged "Car Signs Perth WA"
Cars can be viewed as not only transport, but also as rolling billboards, so why not advertise with car signs? Perth Graphics Centre uses the highest quality vinyl for its car signage, meaning you’ll get years of life out of them. 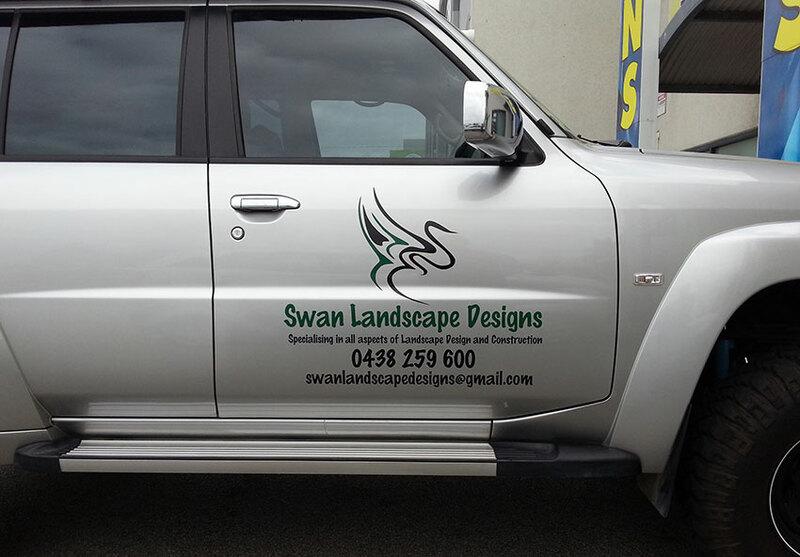 Something as simple as vinyl cut lettering can be done, all the way up to vehicle wraps. 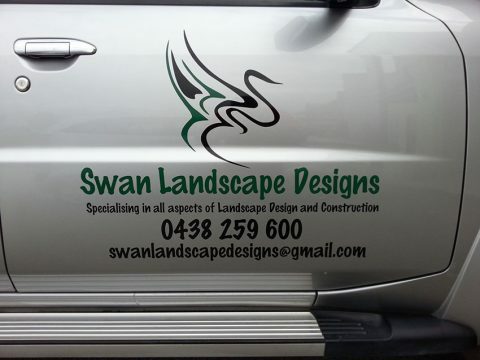 Perth Graphics Centre will give you a quote based on your artwork, or we can create artwork for a nominal fee. If you have a car you’d like to have signwriting on it, then please contact us at Perth Graphics Centre to give you an estimate. You’ll be glad you did.